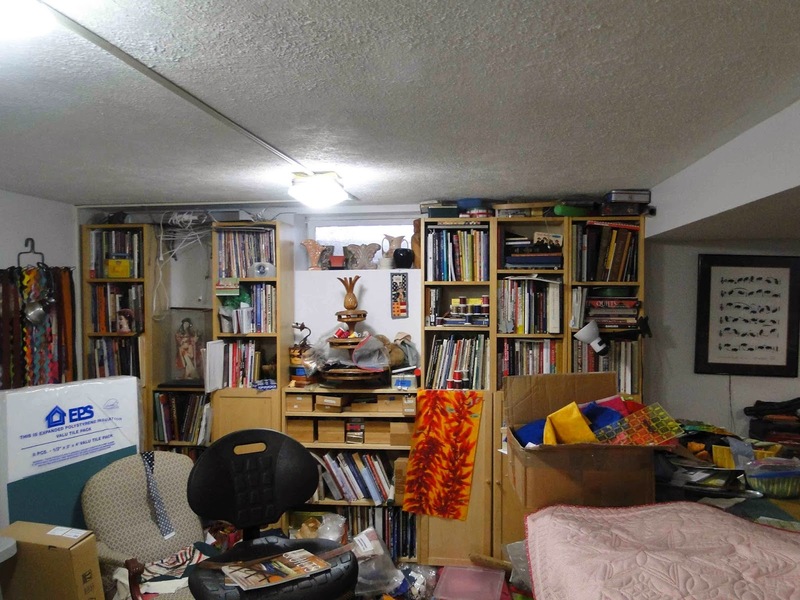 I moved into a wonderful studio space in the basement of our new home in August – you might remember the posts of the pictures of all the unpacked boxes. 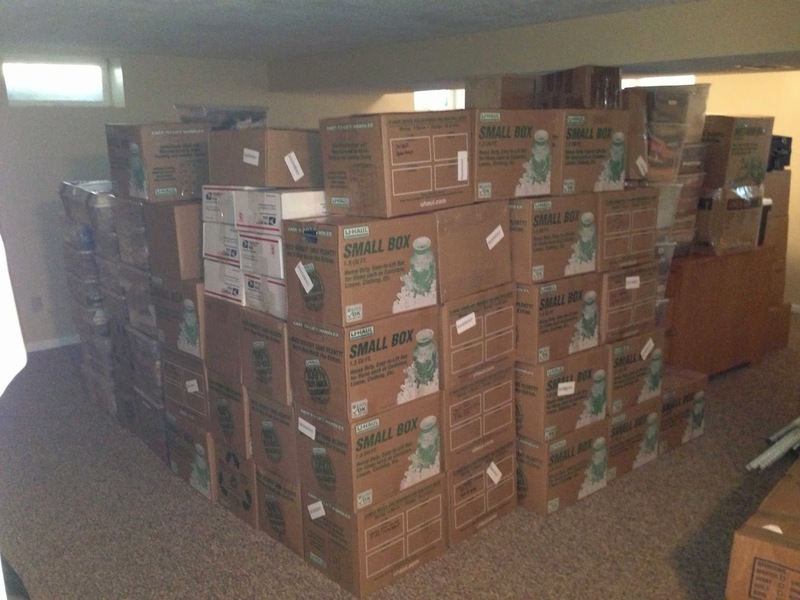 Well those boxes got unpacked and everything got set up – but it just wasn’t working out right. Did you ever have that feeling that the room just didn’t “feel” right and things just weren’t in the “right” place? Well that is what I recently realized and I am in the process of reorganizing the room. I “think” I know where everything needs to go and I am gradually moving things in segments – One thing that has me stymied is how to store my piecing thread. (yes, I have to figure out how to store the longarm stuff – but that is another story and I will worry about that on another day). 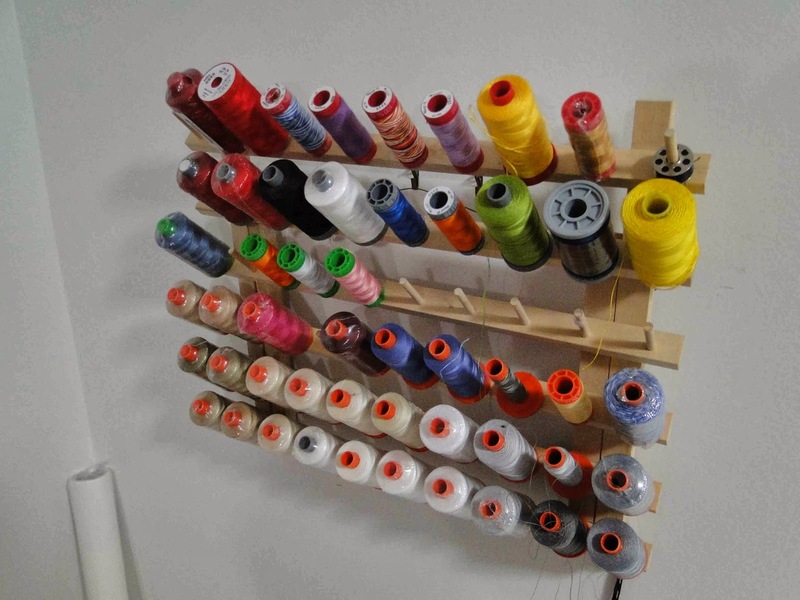 Right now I have my thread on a thread rack I picked up at Joannes and it is hanging above the sewing machine. Where I have it has worked sort-of-kind-of-OK-but-not quite. And it is FULL! The other problem is that I have cones of thread that I use and need to have these at hand. I like to use these cones of thread. 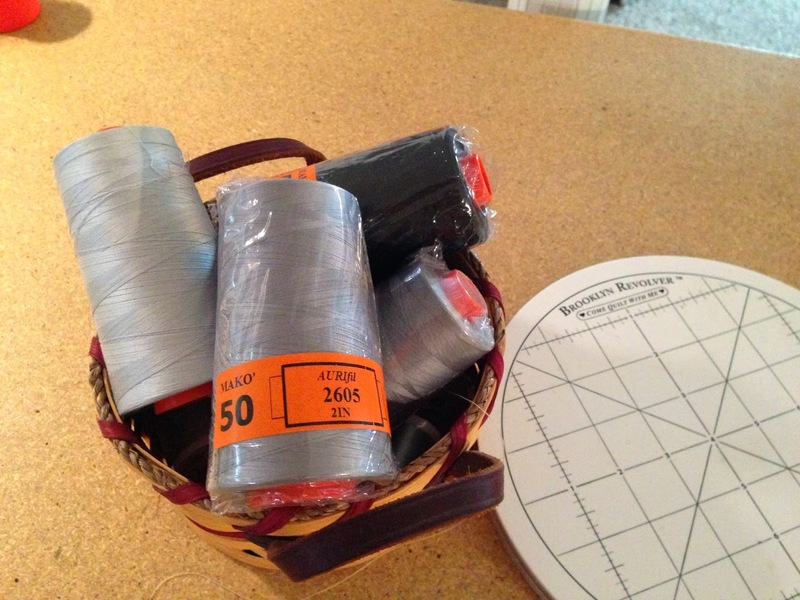 I use the 50 weight Aurifil for piecing – but many times this is also used on the longarm. 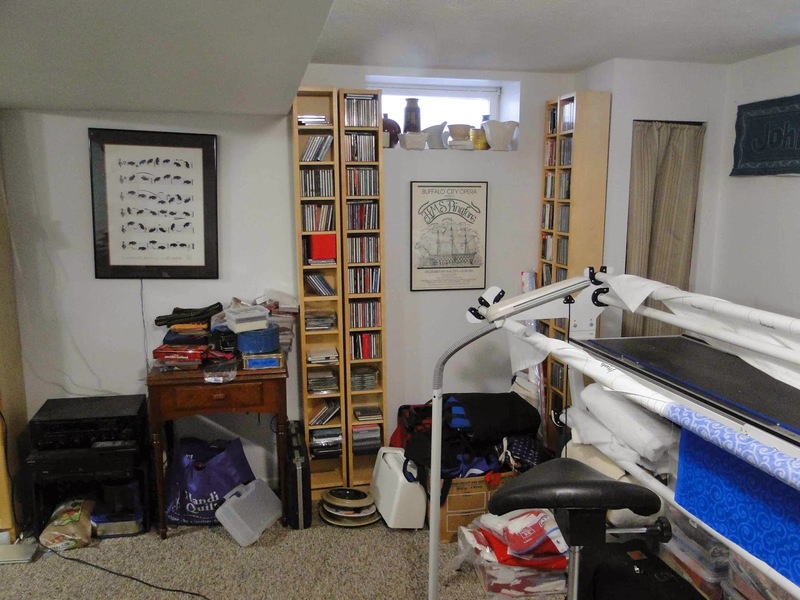 I am going to move my machine to the other side of the room and I will have the wall space under the window and to the left of it (where the tall CD towers are and where the picture is on the wall). what do you use for your thread? 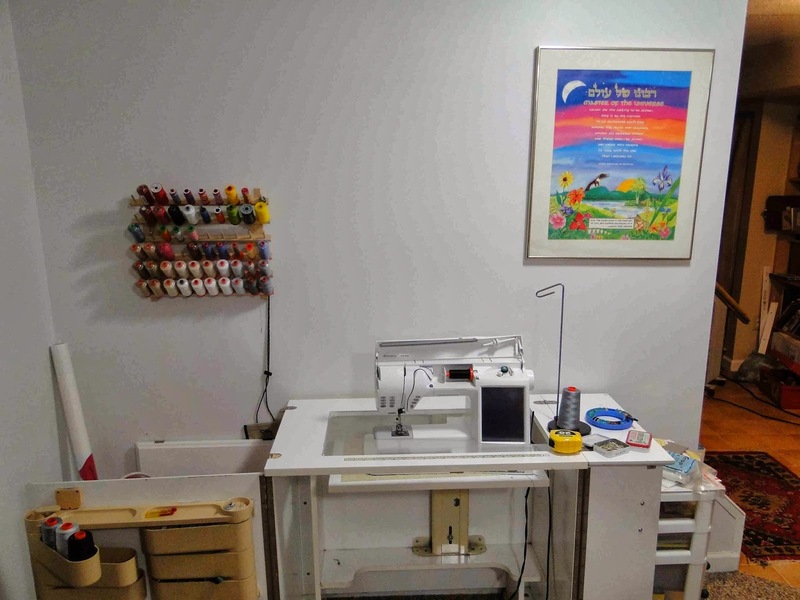 where do you have your thread in relation to your sewing machine? are there any cool ideas out there that you have seen and would like to try?